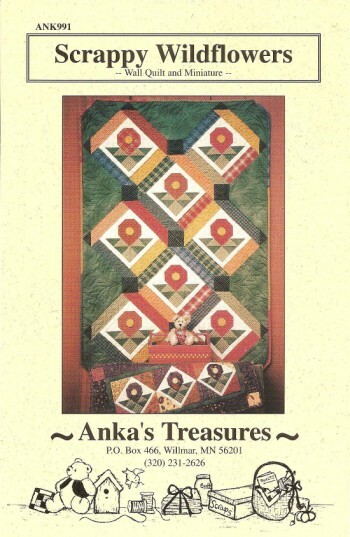 Gather up your favorite collection of fat quarters and make theis twin size quilt with matching sham. 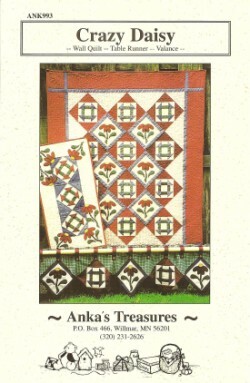 Quilt size: 67 1/2" x 85 1/2". Pillow sham size: 18" x 31". This patttern features easy piecing, machine applique, and three options -- a wall quilt, a runner, and a valance. Sizes: Wall quilt -- 48" x 60", Runner -- 18" x 35", Valance -- optional. This pattern features easy strip piecing and simple, fun applique shapes. Thwo applique shapes are given, but substitute your own for endless possibilities. The quilt has a finished look without having to add borders. Size: 50" x 60". 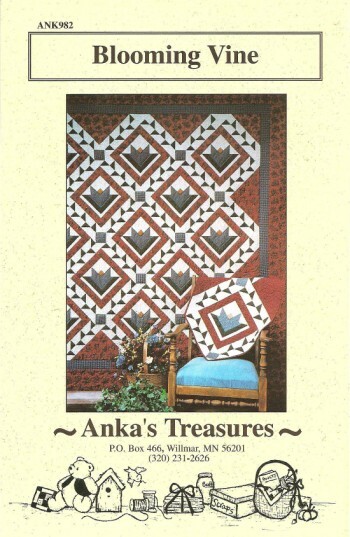 This pattern features easy construction, yet it has the effects of lattice, posts and borders without the work! Size: 33" x 50" and 12 1/2" x 25 1/2". This pattern includes a lap quilt and also a wall quilt. Wall quilt size: 21 1/2" x 36". 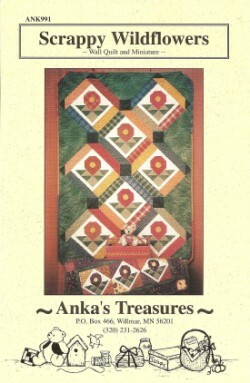 Lap quilt size: 39" x 53 1/2". 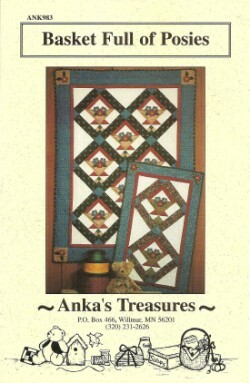 This pattern includes a runner, wall quilt and queen size quilt. 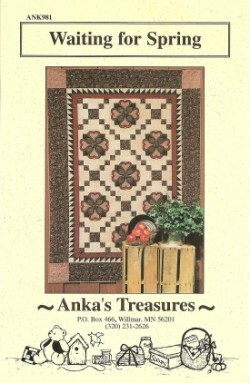 Sizes: Runner--22 5/8" x 52". 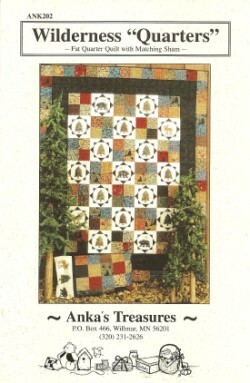 Wall quilt--56 1/4" x 56 1/4". Queen--90 7/8" x 90 7/8". This pattern includes instructions for a Table cloth, Throw, and a Queen size bed quilt. Sizes: Table Cloth--56" x 56". Throw -- 59" x 83". Queen Bed quilt---86" x 110". Pattern consists of a Queen and Full size bed quilts. Sizes: Queen---88" x 98", Full---83" x 93". 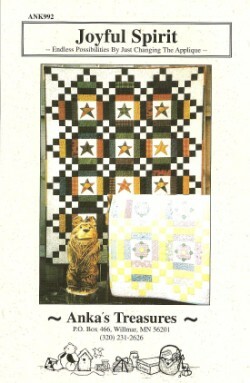 The Twinkle Town table topper is a 35" x 35" project.